Gates to be secure, aesthetically pleasing, automatic, easy to operate and slide behind stone piers. The ironstone house and perimeter walls here demanded something special. 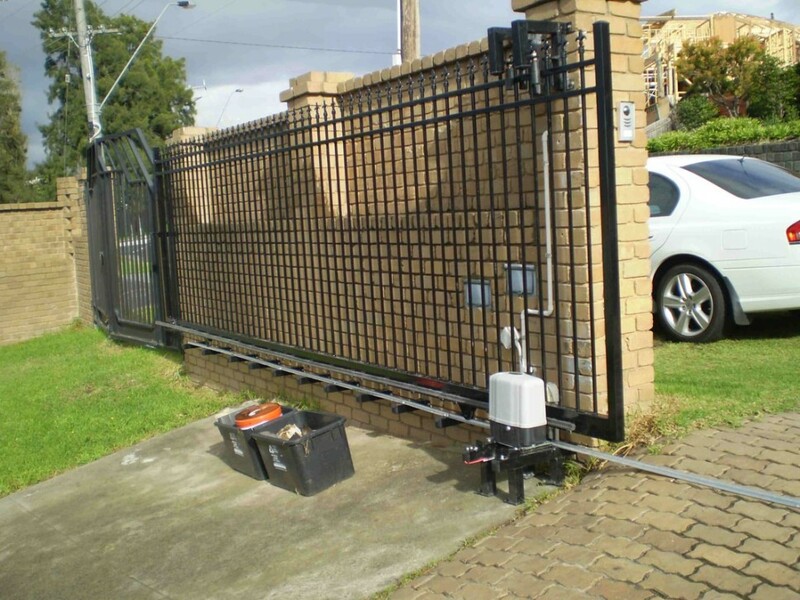 Car parking requirements was important as well as a straight forward and easy to use access control system therefore a sliding gate system was the best space saving solution. Design style and security are the main features. These bespoke sliding steel gates were fabricated to an extremely high standard – when you look closely you can make out the bespoke Wheat sheaf motifs. The gate is opened and closed by means of remote controls and by a hardwired intercom/ code pad positioned on the right hand stone pier. The overall result is excellent, in terms of achieving the aesthetic appeal, security and easy operation.